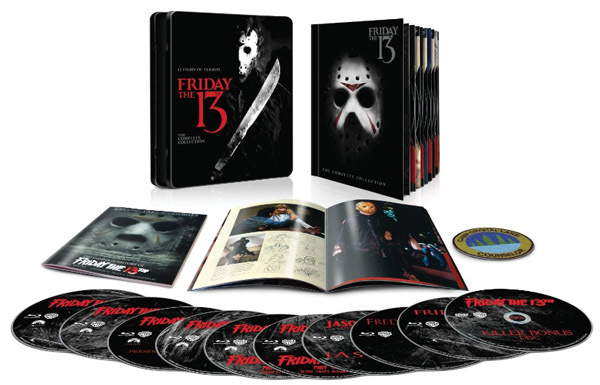 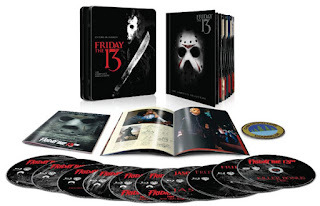 Warner Bros. released Friday the 13th: The Complete Collection on blu-ray this fall, which includes all 10 movies in the series plus Freddy vs. Jason, and the 2009 reboot. The set also includes a “Killer Extras” bonus DVD and a 40 page booklet excerpted from the 2006 hardcover book, Crystal Lake Memories. 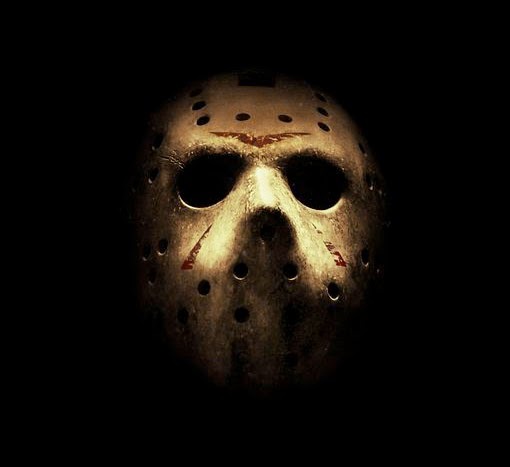 As if that was not enough, Paramount has resumed the rights to the franchise and have 5 years to make new movies. 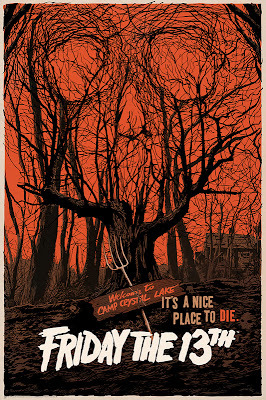 Complicated co-ownership of the lucrative property had stalled all plans for sequels/reboots/reimaginings until now. 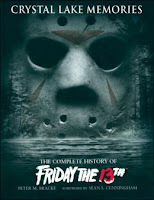 It looks like they are fast-tracking a sequel to the successful 2009 reboot and according to the official website, the sequel is scheduled to be released on March 13, 2015. 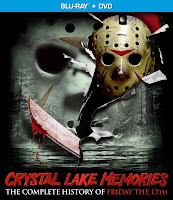 Rumors suggest a “found footage” approach. A great movie poster gets to the heart of the film, and artists are exploring minimalist takes on classic movies. 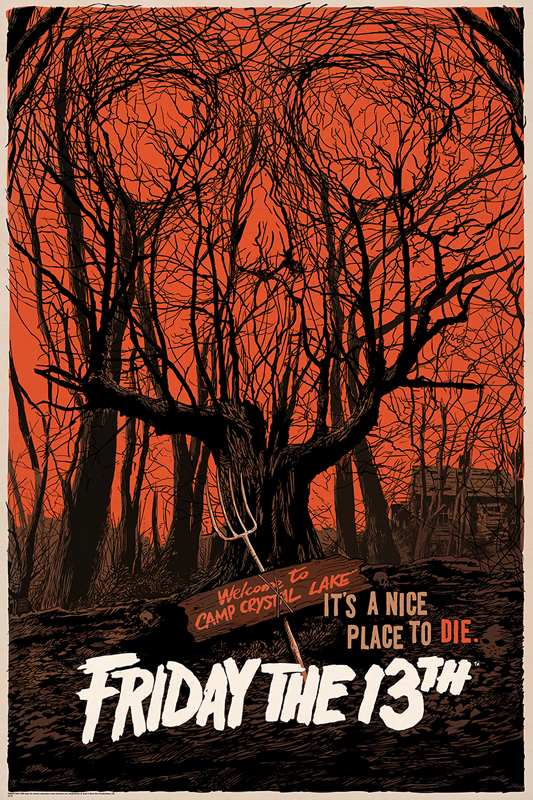 Take a look at the Friday the 13th art from Francesco Francavilla of Mondo (left) and Adam Rabalais of Deviant Art (right). 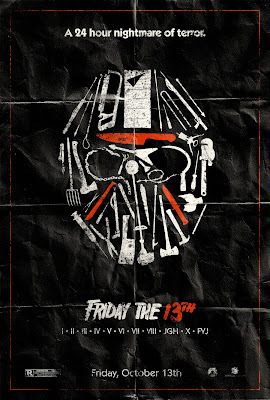 Please Platinum Dunes, hire one of these guys to design your official poster!